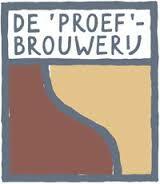 The “proef” brewery is specifically equipped for the development and production of beers for third parties. We brew on a relatively small scale: most often between 10 and 140 hectoliters per order. Our customers include beer architects (who most often contribute their own recipe), start-up or existing breweries (who have their own recipe or a recipe that is jointly developed), and individual initiatives. The Research and Development department (R&D) conducts applied scientific research projects, in order to improve beer quality and reproducibility.